← Bolivian government proposes to soy producers: release of 60 thousand tons!? To produce this audiovisual material -which will be aired [today] March 23- has made an investment of $2,000, according to the producer. 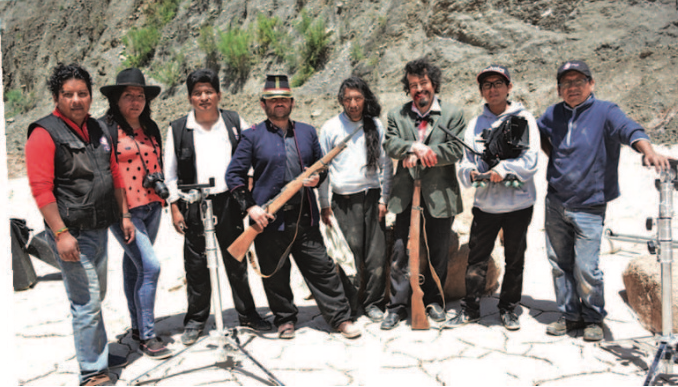 The defense of Calama and the combat at Tambillo are the two that were recreated in The Invasion, docu-fiction that seeks to understand the causes of the War of the Pacific. The audiovisual material was produced by Radio Television Popular (RTP) and premiered yesterday [03/21/2016] at 20:00; investment was $2,000 dollars. “The urge to do this docudrama was to know the causes of the Pacific War and how it came about. They are historic and interesting data that the public can not stop watching,” said the director of the invasion, Cesar Ajpi. In the trailer, it can be seen a worried Eduardo Abaroa, who says goodbye to his children and his wife. “Antofagasta is the gateway,” says the character which is now considered a national hero by his famous phrase against the Chilean Army when it invaded Bolivia. The docudrama was produced since March 5, followed by a week of recording in several locations, including the Lipari valley, south of La Paz, the old houses of traditional Jaén street. 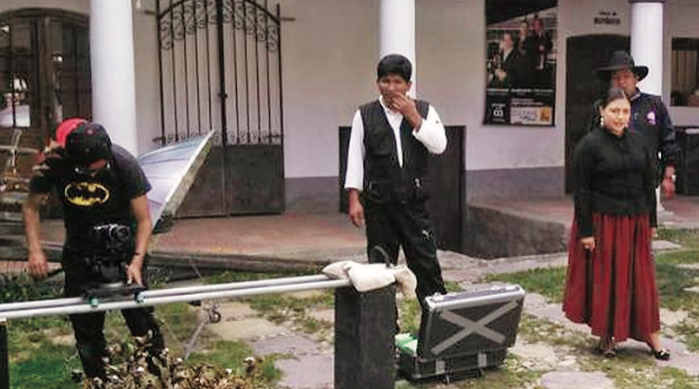 “We also went to Mejillones, Tocopilla and Calama in Chile to take pictures of support,” Ajpi recalled. The Invasion lasts 40 minutes in which the explanation of renowned historians, such as Robert Brockman, Pablo Michel, Fernando Cajías and economists such as Hugo Siles, Gonzalo Chavez and Abraham Perez is also observed. 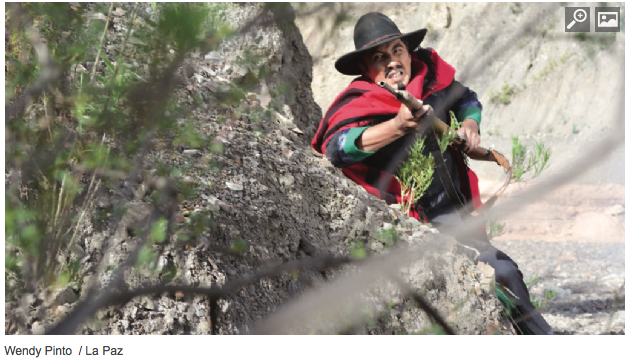 In many documentaries, it is observed the traditional Pacific War, but not other battles like Tambillo, which was the only one who won by the Bolivian Army. “That’s why the importance of our material, showing what was not seen but is in the history,” said the producer. The production of this audiovisual material managed to recreate scenes of the events described. All actors are Bolivians. The actor Jorge Hidalgo enlivens Eduardo Abaroa; Gloria Campos personifies Irene Rivero; and Ariel Vilela plays the role of Colonel Rufino Carrasco. Visits. The trailer has more than 4,055 views on its Facebook page RTP Bolivia and was shared 107 times until yesterday. Repris. Invasion has only one chapter and was premiered yesterday, it will be reprised at 22:00 on March 23, the day when the loss of the Bolivian Litoral is remembered. Lawsuit. Bolivia sued Chile before the ICJ to compel Chile to negotiate a way out with sovereignty to the Pacific. Kudos to RTP por producing this and to Pagina Siete for the news! This entry was posted in Bolivia, Business, Crime and Violence, Economics, Politics, Social Unrest and tagged 1879 Pacific war, Chile, Eduardo Abaroa Hidalgo, history, invasion. Bookmark the permalink.